CHARLESTON — For the fifth consecutive year, Kanawha County topped the state in the number of people leaving a county, according to 2017 population estimates released Thursday by the U.S. Census Bureau. With 2,804 people leaving Kanawha in 2017, the county holds the 10th-highest population decrease by individuals of all counties in the nation. In 2016, it ranked 19th. Despite the high number of individuals leaving, they only made up 1.5 percent of Kanawha’s total population, which sits at an estimated 183,293 people and is the largest in the state, according to the Census data. Since Kanawha is home to more people than any other county in West Virginia, Carper said, it’s common sense that there are more people who could leave. The last time Kanawha saw an increase in population was 2012, when an estimated 51 individuals moved to the county. That also was the last time West Virginia as a whole saw an increase in population. Farther south, McDowell County held the highest percentage of population decrease, with 3.5 percent — 683 individuals — leaving the county. This percentage decrease was the fourth-highest in the nation, according to the Census, and leaves the county with a total population of 18,456 people. In 2016, the county ranked 13th highest in percentage of population loss. 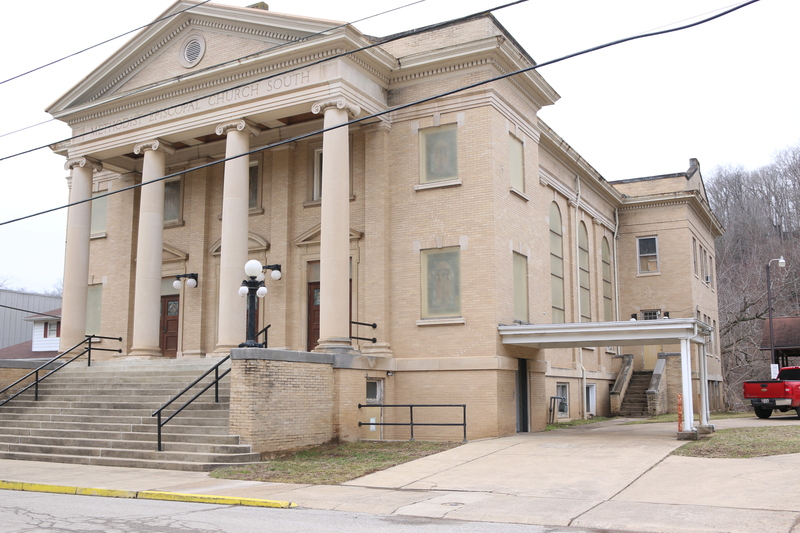 McDowell has been consistently losing residents for more than six years, and while the news is disappointing, McDowell County Commissioner Cecil Patterson said he isn’t surprised. The most eastern counties in the Eastern Panhandle held the top three highest percentages of population growth in the Mountain State. 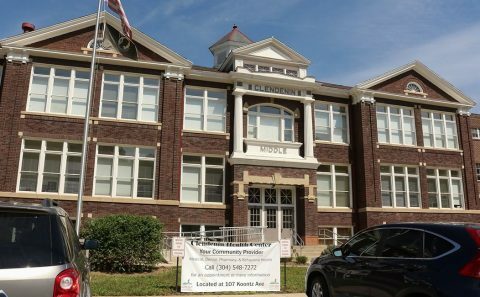 Berkeley saw a 1.5 percent increase, Jefferson, 0.9 percent, and Morgan, 0.6 percent. This was the first year in the past six that Monongalia County had less than 500 people move within its limits. In 2012, roughly 1,700 moved to that county. Last year, the population increase dipped below 1,000 for the first time, with 631 people moving in. This year, only 259 individuals moved to Monongalia. West Virginia’s population as a whole is on a steady decline, according to past Census numbers. If the trend continues, the Mountain State could lose one of its three congressional seats by 2022. In 2017, a total of 45 counties had a population decline. Nine saw population increases, and one — Pleasants County — stayed exactly the same. In June 2016, southern portions of West Virginia were devastated by what experts called, “The Thousand Year Flood”. As the flood waters began to recede, assistance came from far and near to begin the cleanup process, and to deliver food, water, and necessary living supplies. Faith based organizations and volunteers continue to assist with rebuilding efforts in these communities nearly two years after floods ravaged the region. 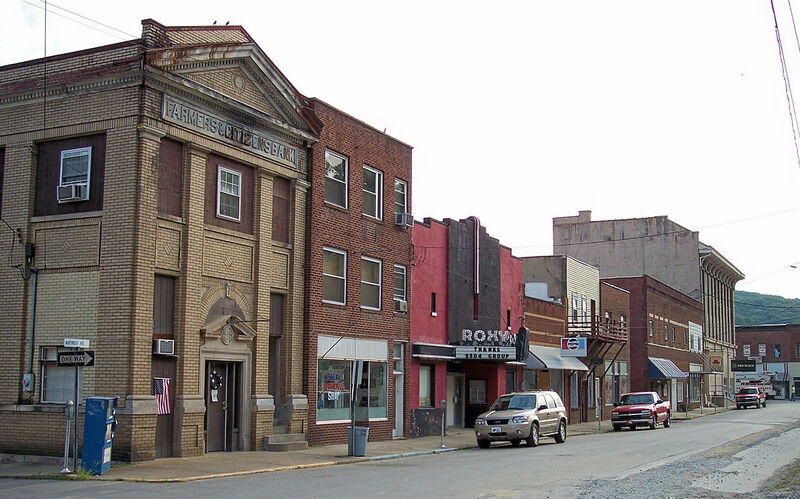 One of those communities still receiving assistance, is the small incorporated Town of Clendenin in northern Kanawha County, home to West Virginia’s Capitol, located in nearby Charleston. 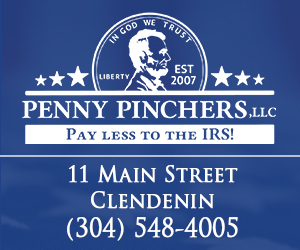 The Town of Clendenin has a Mayor, Town Council, decorated Fire Department, Police Department, and even a newly created Planning Commission, all of which have been diligently working together, along with state and federal government organizations, to rebuild the town. 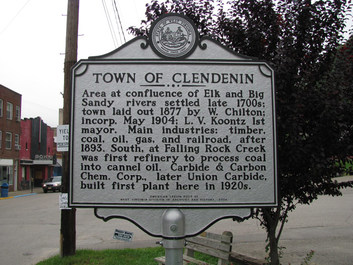 Clendenin is only 20 miles north of Charleston, just off of Interstate 79. It sits along the Elk River, which is enjoyed by kayakers as well as musky and bass fisherman. Current plans and discussions, among the Clendenin Planning Commission revolve around the development of a quaint bedroom community to Charleston, focused on recreational tourism and the creation of community gardens on now-vacant properties. Volunteers in the community are working non-stop on these efforts. The Clendenin Homecoming Festival is slated to occur June 22-24, 2018, and plans are in place to make it an annual event where the town hopes to attract thousands of visitors and generate additional revenue for local small businesses that are gradually re-opening. 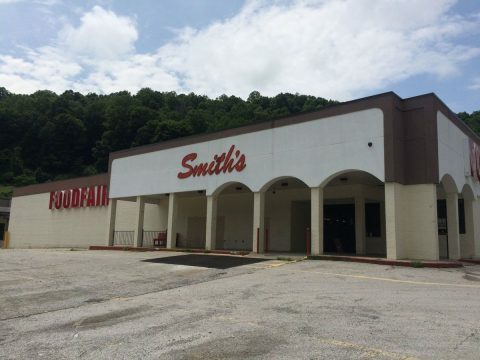 Smith’s Foodfair, sole grocery store within town limits, has not reopened after the 2016 Flood. Even with the many positive initiatives and accomplishments, which are discussed daily among this close-knit community, most outside of the area are completely unaware of an underlying issue that plagues Clendenin and other communities affected by the 2016 Floods. Many of the residents in and around Clendenin, West Virginia are hungry! They simply do not have enough food each month to feed their families. 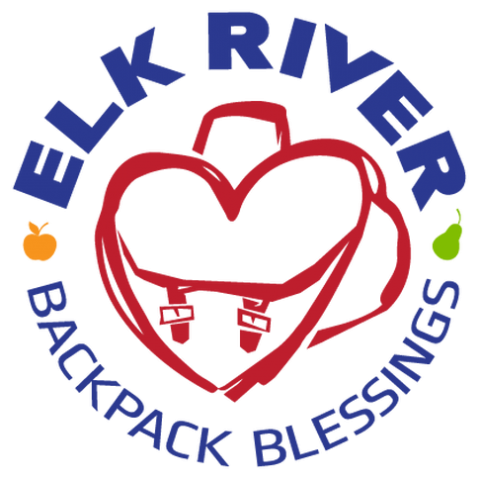 Many children in the community only receive a hot meal while they are at school, and wouldn’t have food over the weekend if it were not for non-profit organizations like Elk River Backpack Blessings. In addition, there are numerous families in the community who do not have electricity, running water, or basic living supplies. Others are homeless. Clendenin needs help! I have only been visiting Clendenin for about six months, however it is abundantly clear to me from my numerous conversations with residents who have called Clendenin and/or the Elk River Valley “home” for all or most of their lives, that this region was economically depressed and struggling prior to the 2016 Flood. Local employment opportunities were limited and the general consensus among those in the community is that the flood simply escalated the deprivation that had been facing them for several years. It destroyed nearly every small business in the Town of Clendenin, including the largest employer; a local grocery store, which provided approximately 50 jobs. The store has still not been re-established, and as of this writing, there are no immediate plans to do so. 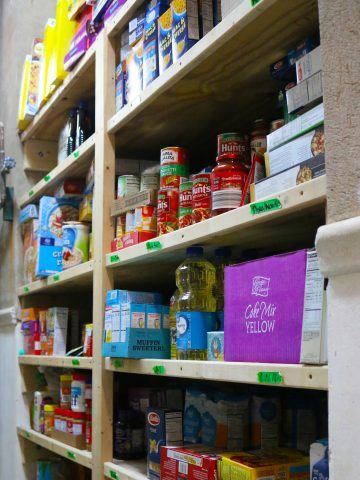 I recently wrote an article about the emergency food pantry, which is located at the Clendenin United Methodist Church, and was curious to learn about other organizations or individuals that were helping those with ongoing needs. My curiosity, along with the assistance of some locals, led me to Crystal Hawkins. Crystal works as the Care Coordinator for the Clendenin Health Center, and is in charge of the Center’s Community Outreach Program. 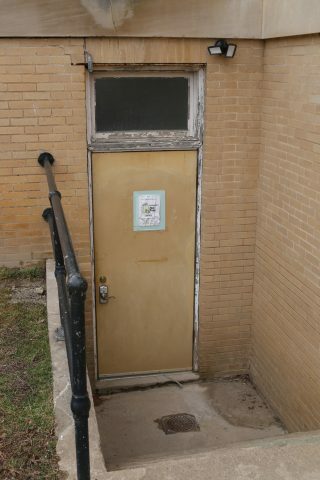 The Clendenin Health Center, also referred to locally as “The Clinic” or “The Health Center”, is located in the original section of the old Clendenin Middle School building at 107 Koontz Avenue in Clendenin. It is owned by Cabin Creek Health Systems. In addition to providing medical services to patients in the Elk River Valley communities, this facility has an outreach program that helps those in need throughout their service area, which includes Kanawha, Clay, Roane, and Jackson Counties. I sat down with Crystal in her office and was quite impressed to learn that Cabin Creek requires their administrative staff to participate in two community outreach projects, and two community care projects, per year. Each staff member is able to select the type of projects they want to be involved in. As part of Crystal’s community outreach requirements with Cabin Creek Health Systems, she chose to work with those in the community that were in dire need of basic living essentials. Crystal’s position places her in front of each patient, where she is a firsthand witness, to the continuous and growing needs within the community. She provides items and services of all kinds; from common everyday needs including food, to figuring out how to help individuals pay their utility bills. She also calls patients on a daily basis to make sure they are taking their medicine, and that they have food, water, and other necessary items. It was abundantly clear to me, that she and the others at The Health Center, are on a mission to help in any way they can and seem excited about the opportunity to make a difference in the lives of those within the community. Crystal is a resident of neighboring Roane County, West Virginia and also volunteers with the Roane County Schools, who accept donations of new or lightly worn clothes, shoes, personal hygiene items, as well as food. These items are then distributed to the students there in need, during school hours, through their individual school pantries. Crystal, her colleagues and staff at The Health Center, have established a secured space at the facility to store donated items. They first assess individual and/or family needs, then distribute supplies out of this space accordingly. She gave me a tour of the space and what I saw spoke volumes to me regarding their selfless efforts. 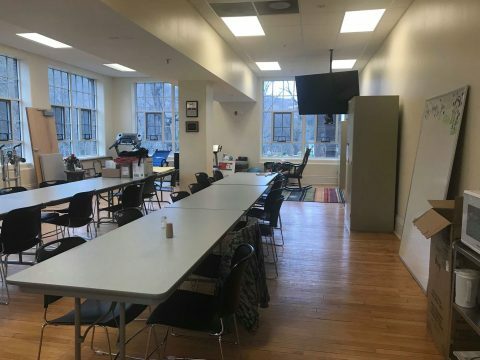 It was quite obvious that the space they had converted to assist these individuals and/or families within the community, had formerly been their employee lounge. Crystal explained that volunteers are in place to prepare and serve hot meals, but they are in need of a facility with a commercial kitchen, a food truck, or a way to deliver meals to those who cannot travel. I could see the concern on her face as she explained the severity of hunger in the community. “There are numerous people in the community that do not have hot food or a way to even prepare hot food”. She went on to explain that meals used to be provided at the Recreation Center in Clendenin, but that facility can no longer be used due to flood damage to the kitchen there. At the time of this interview, The Health Center was ready to prepare and feed the hungry, but have no location with a commercial kitchen and the necessary space to do so. The sheer compassion that Crystal displayed when speaking about the local hunger issue gave me chills, and in order to better understand the total scope of need within the community, I wanted to understand the severity of all non-hunger related needs as well. She explained that while everyone’s priorities are different, they could all be categorized as “necessary living essentials”. She reiterated that they do not provide items that are unnecessary or support personal habits. When the immediate needs of a patient are met, they try to identify long term solutions for patients. Resources have been limited however. According to Crystal, many in the community are left without things like food and clean running water. She echoed the opinion of others I have been speaking with, saying there has “always been a need in the community but it has gotten worse since the flood.” She went on to explain that numerous people do not have access to transportation and are not well enough physically to ride the public bus line that services Clendenin. The Clendenin Health Center works closely with the Clendenin Ministerial Association to provide hot showers for those without running water and volunteers help with laundry needs. In regards to these specific issues, Crystal stated with much empathy, “Sadly enough, Clendenin didn’t bounce back as quickly as people thought it would after the flood”. She went on to say that they did not have a firm, total number of people with extreme needs in the community, on an ongoing basis, because there are still many individuals and families who are not patients at the clinic, but in dire need of assistance. It took many businesses in the Town of Clendenin a year before they were able to re-open their doors, and several are still closed. As mentioned previously, Clendenin still does not have a grocery store, and both of their schools were relocated after the flood, to portable trailers at neighboring schools in Elkview, West Virginia. 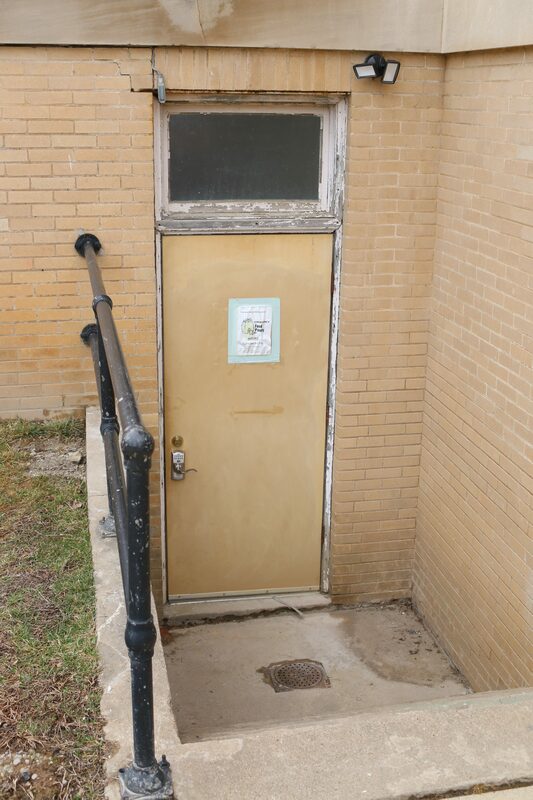 According to FEMA and other government agencies at a recent public meeting, it could be years years before construction is complete on Clendenin Elementary, and the same for Herbert Hoover High School, which is at risk of not even returning to the Clendenin area. I’ve known since the moment I stepped foot in Clendenin, West Virginia, that the people here genuinely care about one another, and that was reaffirmed when I learned that until recently, Crystal and other staff members at The Health Center were using their own personal money to purchase food and items that patients were in desperate need of. I believe the fact that the most requested item that Crystal receives, after food, is adult briefs for incontinence. This reinforces the fact that the need is real, and that the need is dire. From my conversations with those in the community, the perception is that several of those with ongoing needs are employed, but not earning enough to meet their basic needs due to low wages and/or lack of workable hours from their employer(s). Others are simply unable to locate employment at all. Many seniors and disabled residents, who are physically unable to work but may be receiving benefits, are still struggling each month just to make ends meet, often going without food. Susan Jack, with The Clendenin Leader, visited students from Clendenin/Bridge Elementary and Elkview Middle Schools, to get their response to the teacher strike that closed schools in all 55 counties in West Virginia for nine days recently. To Susan’s surprise, the students’ number one fear about the teacher strike was a genuine concern for other students whose only meal often comes from school. On that day, the Clendenin Health Center volunteered to feed hungry students at the Clendenin Fire Department and, after the announcement on social media, several Herbert Hoover High School students took to Facebook and Twitter to offer free rides to anyone who was hungry. The people of Clendenin, West Virginia are resilient. They are compassionate, kind, and care deeply about one another. They have a mindset that is admirable and respectable. They are good people, but I can honestly say the same thing about West Virginians as a whole. Unfortunately, West Virginia ranks as the worst state in the United States for business, ranking 50th for Economy and 49th for Workforce, according to a 2017 CNBC Report . A recent Spotlight on Poverty & Opportunity Study found that 45% of West Virginian’s living in poverty are single-parent families with children. With businesses and educated young people leaving the state for better opportunities, how will we recover, and when will hunger not be the primary concern facing the state of West Virginia? There are several ways you can get involved. Even a small donation can make a monumental difference. Phone calls can be directed to Crystal Hawkins at (304) 548-7272 and emails can be sent to chawkins@cchcwv.com. Non-perishable food items like canned and boxed food, granola bars, protein bars, pudding, peanut butter, canned fruit, crackers, canned soup, bottled water, etc. Personal hygiene items including deodorant, soap, shampoo, razors, feminine products, baby wipes, baby diapers, toothbrushes, toothpaste, adult briefs, etc. Household items & clothing including blankets, warm hats, scarves, gloves, coats, etc. A location to prepare and distribute hot meals to the hungry, which would require a commercial kitchen. Once in place they will need food to prepare for them as well as supplies like paper plates, cups, and utensils. The emergency food pantry, located at the Clendenin United Methodist Church, is operated by the Clendenin Ministerial Association. Donations can be dropped off there on Tuesdays 5:00 p.m. to 6:00 p.m. at the Clendenin United Methodist Church, 121 Koontz Avenue, Clendenin, West Virginia 25045. Roane County School Pantry: Contact: Shawnee Jarrell – sgjarrel@k12.wv.us. Items requested include socks, underwear, toothbrushes, toothpaste, shampoo, soap, deodorant, pencils, paper backpacks, sweatpants, sweatshirts, feminine hygiene products, non-perishable food. Two local Clendenin, West Virginia restaurants are now hiring. Momma Paynes and Julio’s Mexican Restaurant, located on Main Street, are both looking for experienced morning waitresses. Stop by either location and pick up an application. 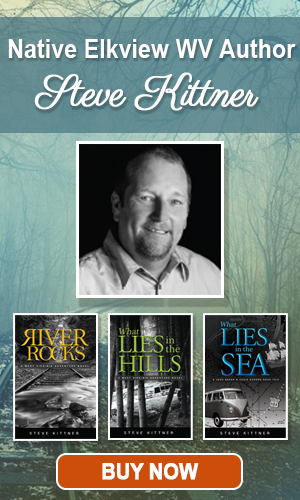 Anyone who grew up on the Elk River will tell you that they have fond memories of that time and of the many unique people who made up our community. Some of our memories are geared toward specific people who may have left a lasting impact on our lives, while others are of places or events, or simply of our way of life here in the past. Some of our memories are funny, while others are sad. We intend to share these memories and the stories of them here at Memory Lane. We welcome and encourage everyone to submit their own unique story HERE for possible inclusion in this section. Use the MENU to explore articles in various sections or click the following highlighted links to be taken to specific sections: Local History, Did You Know, Notable People, Meet Your Neighbor, Living Legends. We will be adding more content on a regular basis, so keep checking back with us. Let us know if you need assistance learning how to navigate our website or if you are interested in helping us research and compile information about our communities. Contact us HERE to let us know about a MEMORY LANE story that you think we should feature. The Clendenin and Elk River Communities have produced tremendous talent over the years in a variety of arenas; outstanding athletes, educators, humanitarians, business leaders, etc. Some have accomplished an outstanding achievement of sorts, while others have compiled a body of work over the years, all of which we believe to be legendary. Living Legends are those individuals, still among us, who have accomplished significant things during their lifetime, both past and present. They are the individuals who have left their mark and a lasting legacy. We intend to tell their stories here, and document their accomplishments and contributions to our rich history. Use the MENU to explore articles in various sections or click the following highlighted links to be taken to specific sections: Local History, Did You Know, Notable People, Meet Your Neighbor, Memory Lane. We will be adding more content on a regular basis, so keep checking back with us. Let us know if you need assistance learning how to navigate our website or if you are interested in helping us research and compile information about our communities. Contact us HERE to let us know about a LIVING LEGEND you think we should feature. Submit your Anniversary Announcements to be included on The Clendenin Leader HERE.